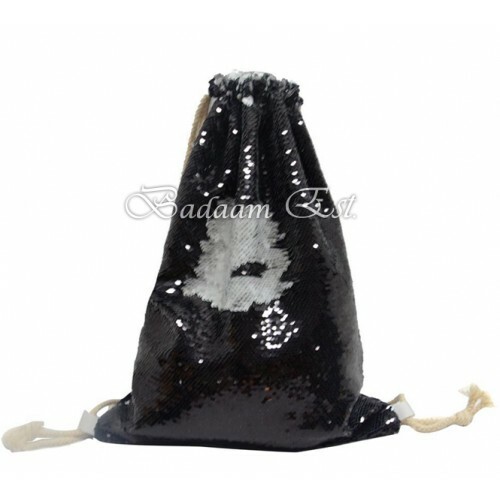 Sequin drawstring bag, is made by high quality sequin and soft polyester material, which looks shiny and sparkle. The inside of the backpack is designed with double lining, which is very durable. With 3 colors for your choices.Adjustable string ,easy on/off rope buckles suitable for any condition.